Islands, beaches, waterfalls and wildlife sanctuaries. Auckland: a backpacker’s first stop for their travels in New Zealand… Usually. 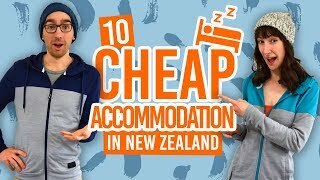 But let’s be honest, backpackers in New Zealand are not here for the cities, so many make the mistake of leaving straight away in search of of the wilderness that New Zealand is famous for! However, if you are staying in Auckland for work or need a quick shot of nature right after landing, then this is the list for you. By no means is Auckland all about city life. In fact, it has many wonderful natural experiences in close proximity, from superb surf beaches to sanctuary islands. If you know what to do and where to go in Auckland, it will be a mighty long time before you get bored. The small island of Rotorua is only a 1h30min ferry trip away from the busy Auckland city centre. The island features stunning beaches and sculptures, but it is more commonly known for being Auckland’s newest wildlife sanctuary, releasing the likes of kiwi birds, saddlebacks, reptiles and more. Get your ferry ticket here. Auckland’s Hauraki Gulf Marine Park is one of the most biologically and geographically diverse marine parks in the world. In fact, whales and dolphins are seen on most trips! To find out more, visit the Auckland Whale and Dolphin Safari website. A local’s favourite, Rangitoto is easy to access, cheap to travel to, and a lot of fun to explore. Featuring lava fields, lava caves, a large crater, and a stunning view over the Hauraki Gulf, Auckland’s “baby volcano” is a must see when visiting the city of sails. How about kayaking to Rangitoto Island for the sunset? Home to a huge colony of gannets, the west coast beach is not to be missed! The rugged coastline overlooking black sand beaches is populated by thousands of birds that are incredibly fun to watch come and go. Home to One Tree Hill, the park is probably the best panoramic view of Auckland City Centre. But the climb up passes through a fine array of trees and dense plains on which sheep and cows are grazing. And if you are the sort of person who gets hungry easily, pack your BBQ kit as the park has free wood BBQs. The huge island is an Aucklander’s favourite! In fact, in summer it gets quite hard to secure a spot on the ferry, especially if you are planning to take your car. At Great Barrier Island you will find a lot of hikes and walks, pristine beaches and even hot springs! But the Glenfern Sanctuary Wildlife Trust is not to be missed neither! Plan your trip with our Great Barrier Island – Guide for Backpackers. Mostly known for its surf, the black sand beach is one of the most picturesque of the Auckland area. Climb the Lions Rock for a 360 degree view of the beach or walk through native forest on the hills nearby: there is a lot to do after surfing. Covering over 16000 hecares, the Waitakere Rages Regional Park is Auckland’s crown jewel. Gorgeous beaches, lush native forest, and worthwhile waterfalls await visitors that willingly get lost along the way. Pro tip: If you are in Auckland without your own means of transportation, check out Black Sand Tours that offers awesome tours of the Waitakere ranges and its stunning black sand beaches. Sick of the hustle and bustle of the city but don’t have the time or the means to leave it right here and now? Head to the Auckland Domain in the heart of Auckland to find a bit of peace in this huge park. The Domain holds the Auckland Museum, the duck pond, winter gardens, bush walks and sports fields. It’s one of the awesome 15 Free or Cheap Things to do in Auckland. As the world’s first underwater reserve, Goat Island Marine Reserve is one of Auckland’s most famous attractions. You can choose to stay dry and take a glass-bottom boat tour or get stuck in by renting scuba or snorkel gear.